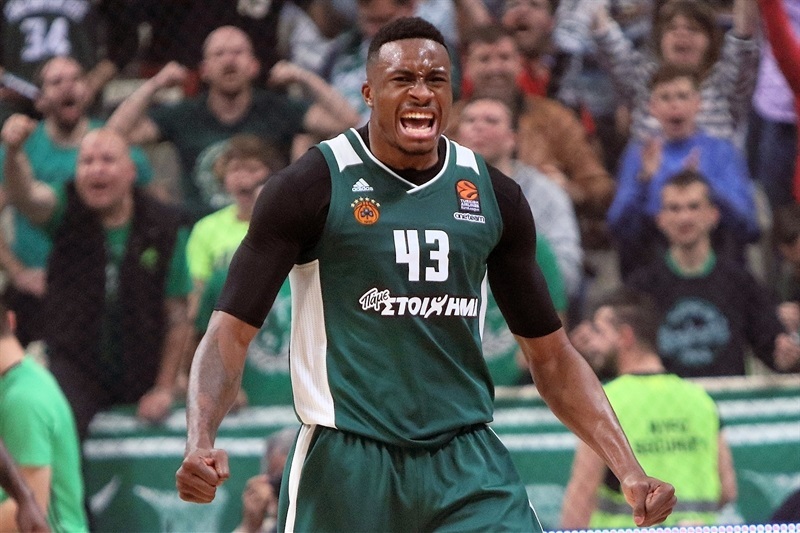 Panathinaikos Superfoods Athens used a dream start to the game, dominating from tip to buzzer to rout visiting Real Madrid 95-67 in Game 1 of the Turkish Airlines EuroLeague Playoffs on Tuesday night in the Greek capital. 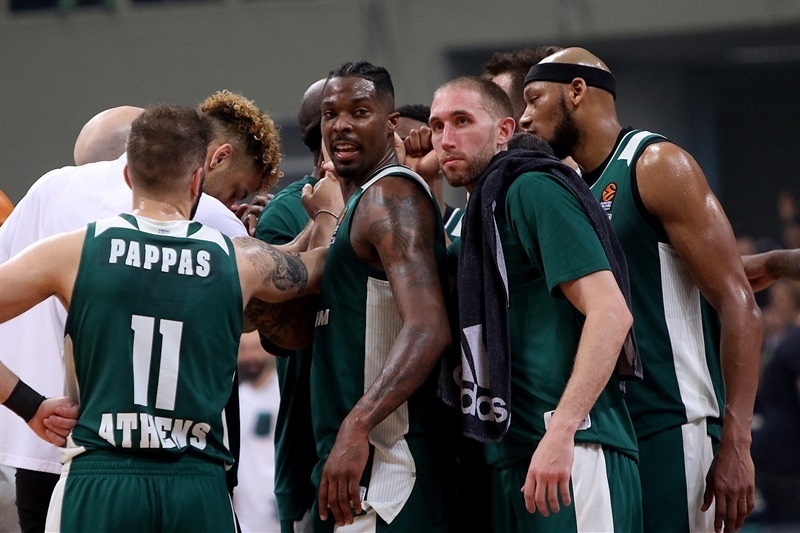 Panathinaikos snapped its seven-game playoff losing streak in style, opening the game with a 20-0 run and never allowing Madrid closer than 8 points in the first half before breaking the game open in the second. 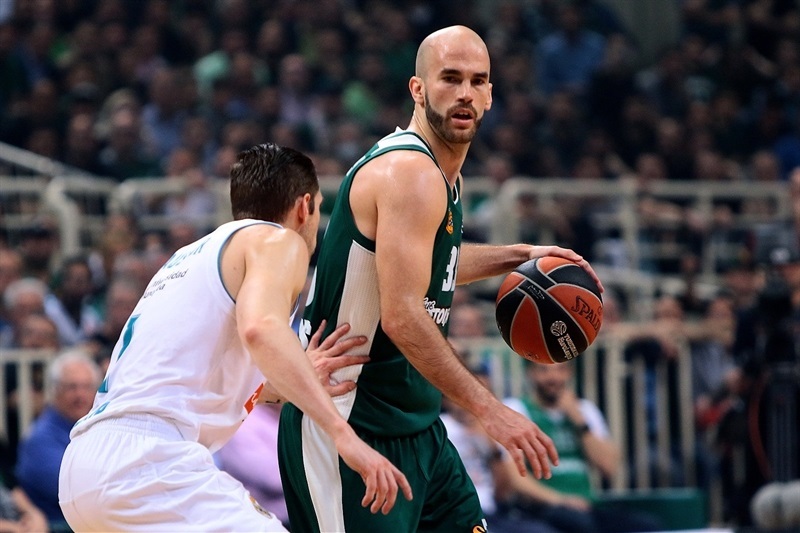 Nick Calathes set a playoff record and wit a career-high 16 assists despite sitting out the entire fourth quarter since Panathinaikos led 77-44 after 30 minutes. 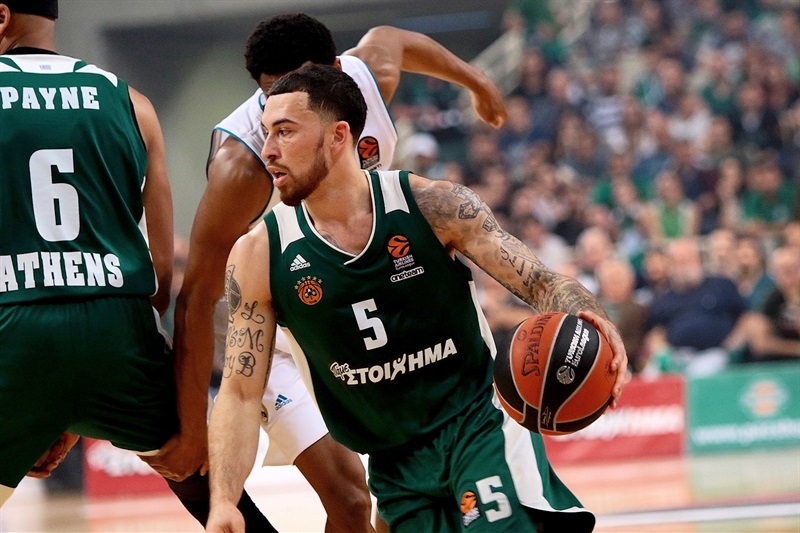 Calathes also had 11 points and 6 rebounds, while Mike James paced the winners with 24 points and 8 rebounds. Each of the Greens' 12 players played at least five minutes and scored a basket. 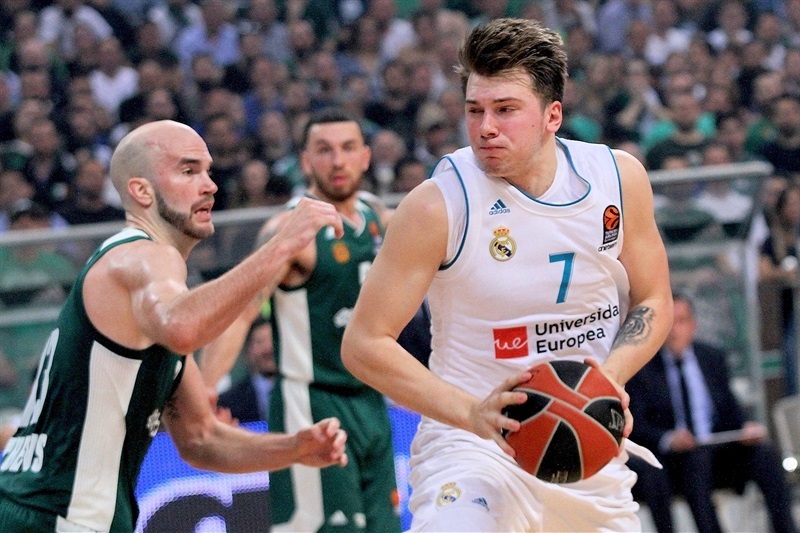 For Madrid, Trey Thompkins finished with 12 points and 7 rebounds, Anthony Randolph scored 11 and Luka Doncic 10 in the losing effort. 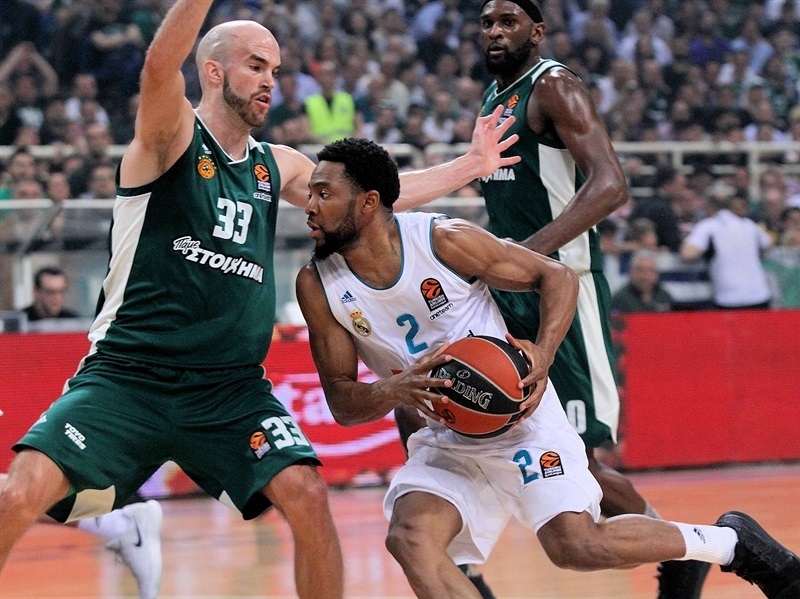 Panathinaikos stormed out of the gate with steals that led to a layup by Calathes and a triple by James. Chris Singleton hit a triple and James a jumper, before Thanasis Antetokounmpo’s dunk made it 12-0 after only 2 minutes and 20 seconds. 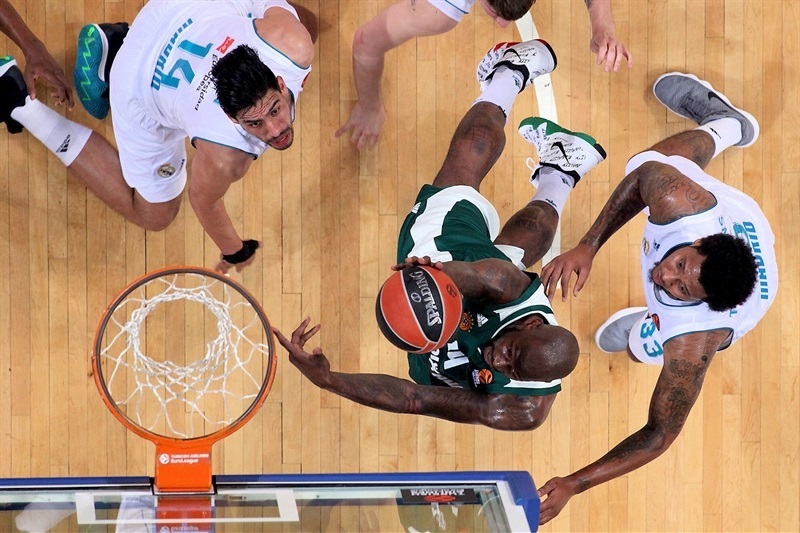 Coach Pablo Laso called a timeout, but Calathes threw back-to-back alley-oops to Antetokounmpo and Singleton before layups from Calathes and James extended the lead to 20-0. 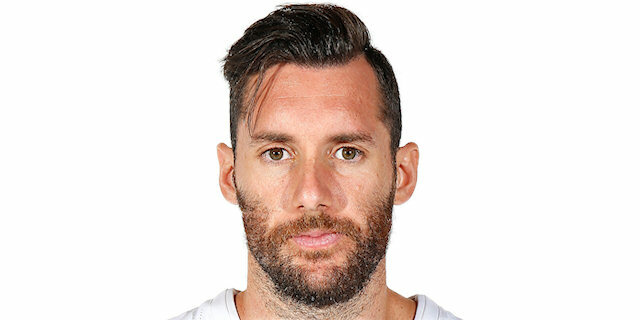 Madrid needed exactly five minutes to open scoring with a Thompkins layup. James and Doncic traded three-pointers, before Thompkins banked a jumper that helped cut the deficit to 23-13. 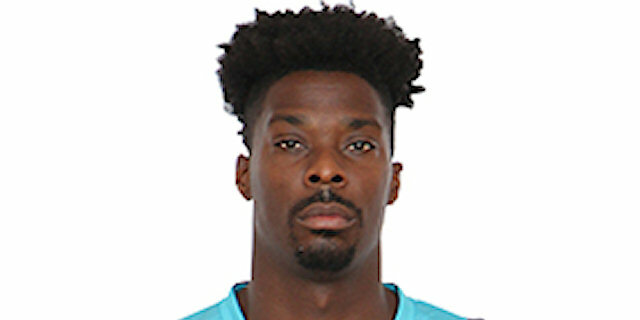 James Gist made a fastbreak dunk to end the scoring in the first quarter, but a layup and a fastbreak dunk by Gustavo Ayon got Madrid within 26-17. 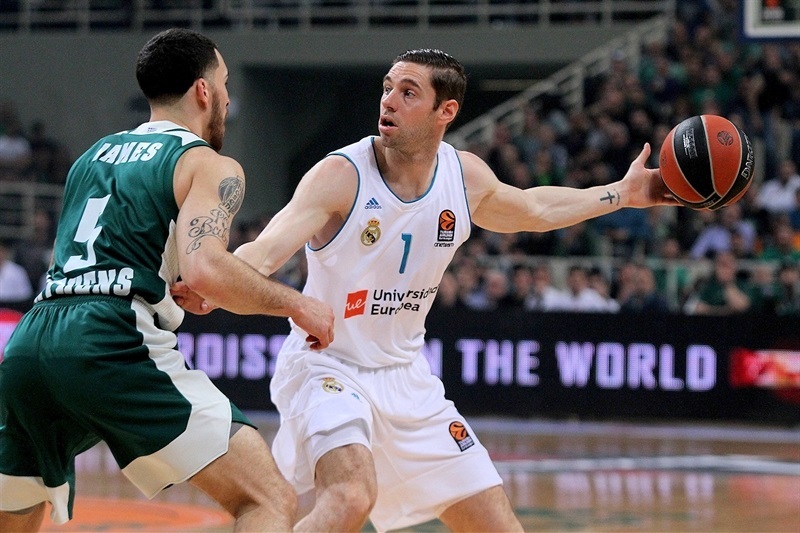 A jumper from Jaycee Carroll got Madrid as close as 29-21, but James took it to the basket twice, before Calathes had a driving layup and a three-pointer to help open a 40-23 margin. 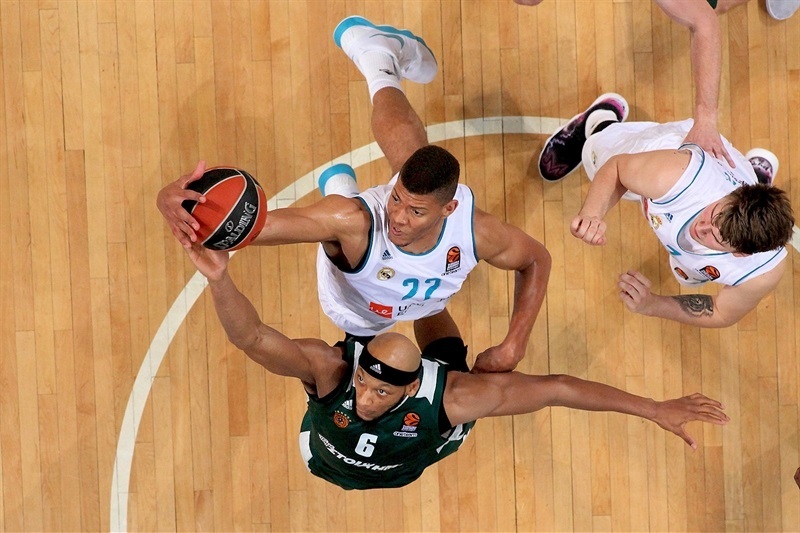 Doncic hit a triple for Madrid, but Marcus Denmon connected twice from downtown to restore an 18-point margin before Randolph rounded out the scoring in the first half, making it 46-30 at the break. Jeffrey Taylor and Ayon scored inside early in the third for the visitors, but James and Gist extended the difference to 54-34. 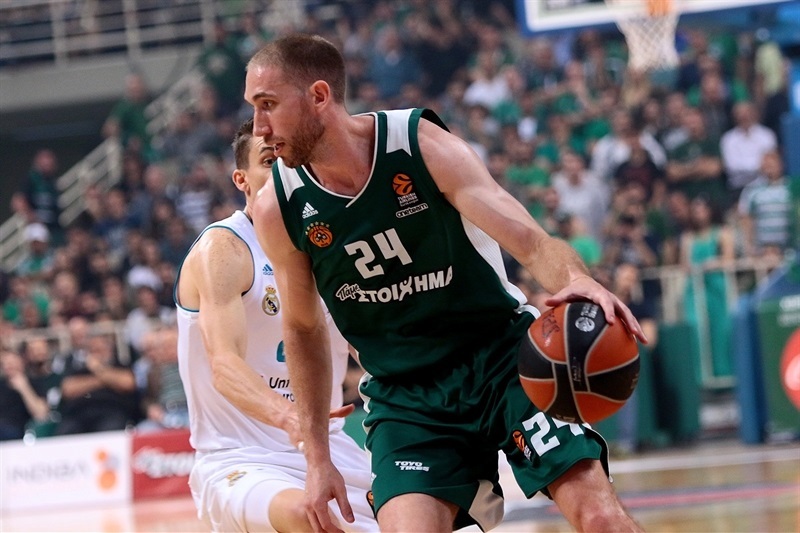 With Calathes running the show, the margin kept rising, as James had a dunk and a corner triple to make it 61-35 midway through the third quarter, then Calathes threw a lob-pass to Antetokounmpo for an alley-oop dunk. 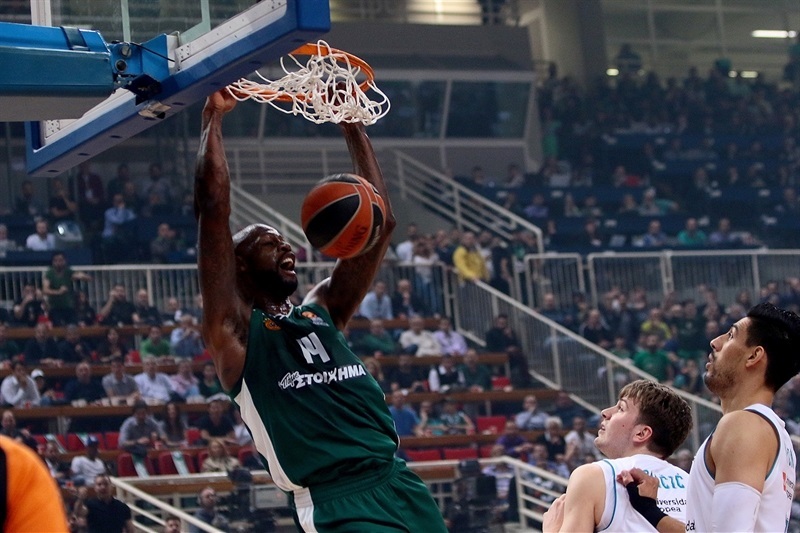 Denmon had a pair of triples that made it 66-37 before Adreian Payne converted an alley-oop and a buzzer-beating layup, both set up by Calathes assists, to make it 77-44 after three quarters. James made it a 35-point margin at the start of the fourth, before Randolph and Chasson Randle cut into the deficit. But the winner was long decided, as the teams already started thinking about Game 2, which takes place on Thursday. "Thank you to the supporters that came to the game. It was an incredible atmosphere, and together we did an excellent job. The win is for all of them. It is difficult to say, but it was like a perfect game. We played perfect defense, excellent on offense. With good rhythm. Very nice game for the supporters, very nice game for people who love basketball. This night we did everything excellent. Of course, it is only 1-0. We have to continue." 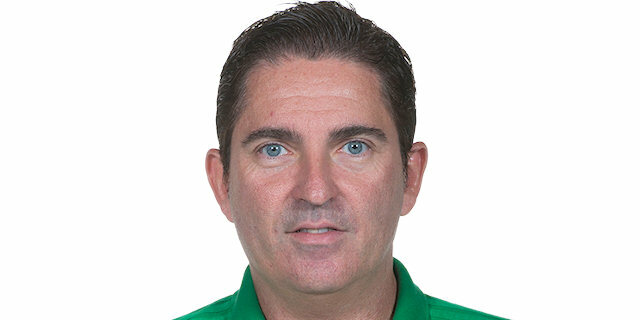 "Congratulations to Panathinaikos on the victory. They deserved it from the first 10 seconds. We started the game 0-20. They outplayed us from the first minute, and from that moment it looked like one team really wanted the game, and we were just waiting. It was not a very good night for us, but this game is finished. We have to think ahead, and we will be back here in 48 hours. Playing without Facu Campazzo and Sergio Llull is difficult for us, but we've had problems the whole year. I love my team, and we are together when we win and we lose. We are among the eight best teams in the EuroLeague, we are here for the playoffs, and we have to be ready for these kinds of games. 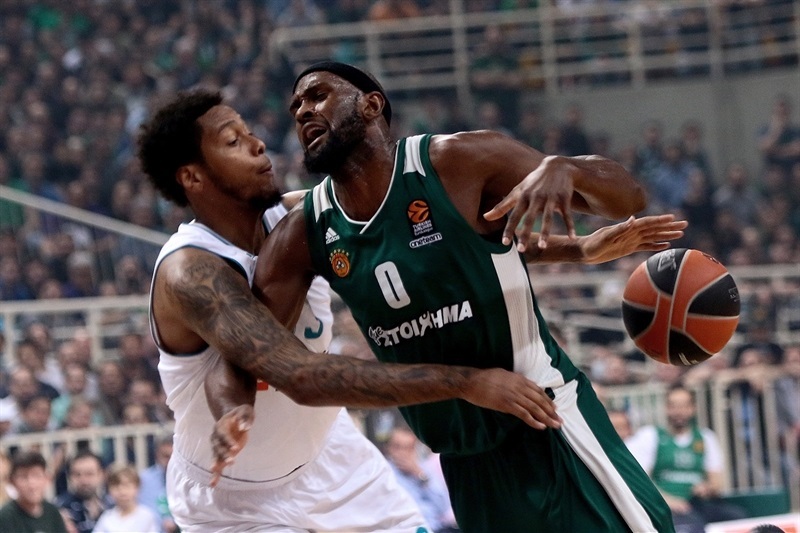 Today Panathinaikos played a great game and deserved to win." "We have most of the guys from last year, and at halftime I told everybody in the locker room that we were in the same position last year, up by 16 against Fenerbahce last season in Game 1 and ended up losing by 16. And that we have to start the third quarter great. We have been ready for these games. It has been a long time coming, this is what we have been fighting for the whole season. But we know Thursday will be a much together game. We just have to keep staying aggressive." "It's playoffs. You don’t need any extra motivation to be here. You just gotta come out. I think last year we had a sour taste in our mouth and we didn’t want to let that happen again. I think that energy and the fans and wanting to go to the Final Four this year brought it out. In games like this, especially big games, [the fans are] loud, they're into it, they're talking, they're yelling, they're singing. It actually helps. It gives you added energy, added motivation." “I believe that we need to be cool-headed in this moment. We know that we made many, many mistakes. I think that we haven't seen the team we need to be. Each of us has to be self-critical, from player one to player 13. In that sense, we have to forget this game. It's true that we are down 1-0, but the good thing about this kind of playoff is that there are still games left. We know that we need to improve a lot of things from today – many, if not all – and we have to know that no one is going to give it to us. 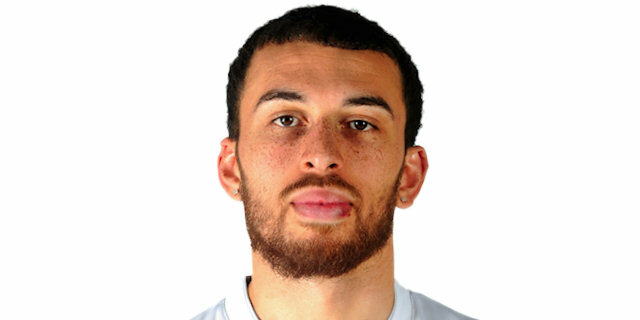 We understood from the start that Panathinaikos is a great team and it's very difficult to play them here. But we weren't ready for today's game. If we play as a team, we can beat anyone. We've shown that all season. And now we have to see that better team, all of us rowing in the same direction."